Click here to buy the Kindle version from Amazon. Click here to buy the electronic version for all other formats (Nook, Sony, etc.) . Barack Obama stormed into the White House in 2008 and, within weeks, became the most popular political figure anywhere -- except his own country. There, his approval ratings ebbed, his opponents thwarted him at nearly every turn, and his own supporters grew restive. What went wrong? In a witty and heart-felt account, Donald Morrison, a veteran journalist and author, describes his growing perplexity with America's first black President. 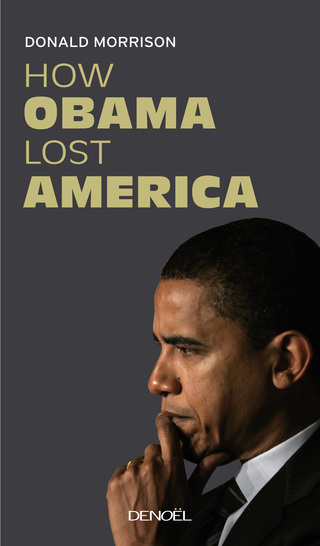 He examines Obama's background, personality and governing style and finds the hidden flaws that undermined his presidency. He also identifies recent changes in American society and politics that set the stage for the era of Donald Trump. 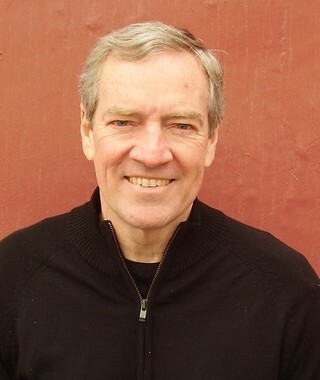 Donald Morrison is an author, journalist and educator. In a long career at TIME, he wrote and edited in every department of the magazine. He was Editor of its Asian edition in Hong Kong and its European edition in London. A frequent lecturer and conference moderator, he has taught at New York University in London, Tsinghua University in Beijing and the Institut d'etudes politiques (Sciences Po) in Paris. Mr. Morrison is the European Editor of the London-based magazine PORT and a regular commentator for The Berkshire Eagle and NPR's Robin Hood Radio. He has written for The Financial Times, The New York Times, Le Monde, Le Point, The New Republic, Smithsonian and Quartz. He is the author, co-author or editor of books on subjects as diverse as Chinese democracy and photojournalism. His "The Death of French Culture," a 2009 French best-seller, was published in the U.S. and the U.K. in 2010. Mr. Morrison holds degrees from the University of Pennsylvania and the London School of Economics.